Grow your own Vegetables. No more digging! Raised Bed Bases are made of FSC certified pressure treated timber for long lasting life, and have tough plastic corner joints and extension fittings to build multiple tier beds. The timber sides retain warmth producing quicker, earlier crops. 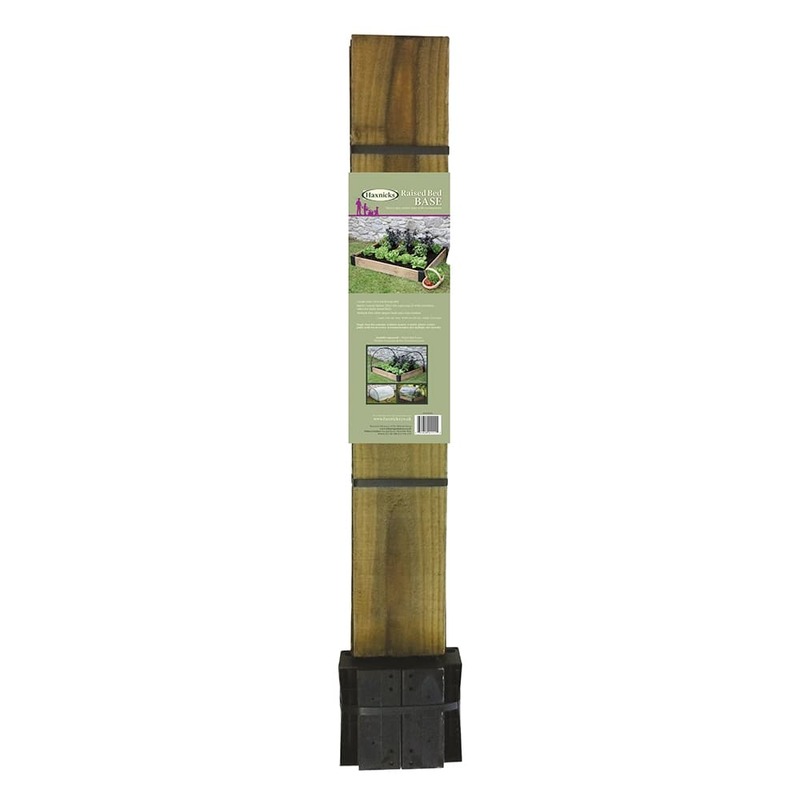 Length 1.20m (3ft11") Height 15cm (6") Width 1m (3ft3") . You can lay out your vegetable garden exactly where you need it. 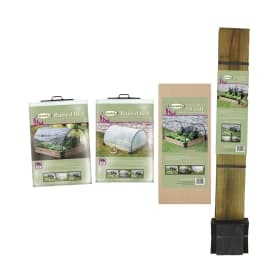 Ideal for small gardens and patios, easy to build and easy to maintain. 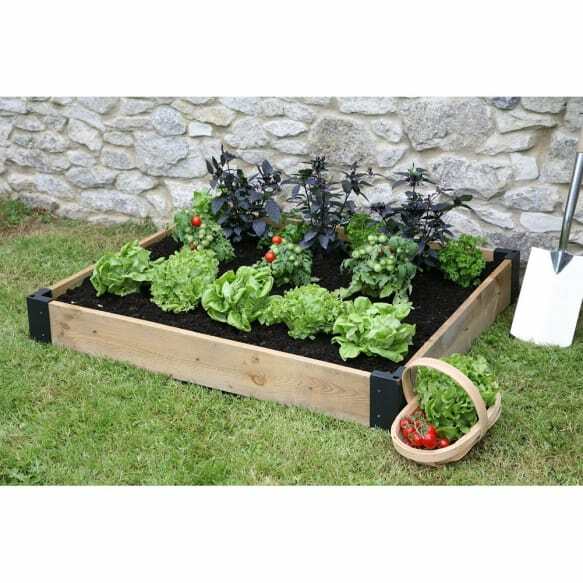 Raised Bed Bases are made of FSC certified pressure treated timber for long lasting life, and have tough plastic corner joints and extension poles to build multiple tier beds. The timber sides retain warmth producing quicker, earlier crops.